Thea Guidone lives in a red house on a hill in Connecticut. She loves John and Suzanna, old books, cottage gardens, Friday-night pizza, and writing by the fire. This is her first children s book. Vanessa Newton trained at the Fashion Institute of Technology and the School of Visual Arts, both in New York City. Before turning her sights to children s books, Vanessa worked as a medical phlebotomist. Her other works include the Ruby and the Booker Boys series and "Let Freedom Sing," which she also authored. Vanessa lives in East Orange, New Jersey, with her family." “A great choice for an active storytime." 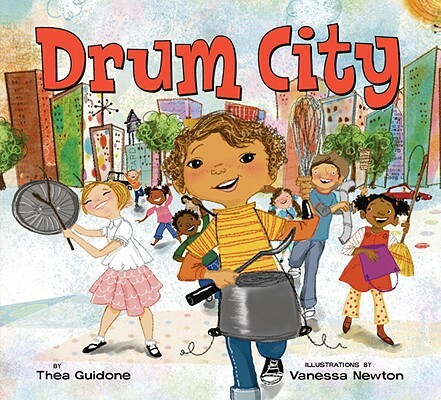 "This one begs to be read aloud in a music or city-sounds storytime. But be forewarned—anything even remotely drum-like will not be safe for the rest of the day."